Mumford Company, a full-service hospitality brokerage advisory firm since 1978, announced today it completed the sale of the Fairfield Inn & Suites by Marriott Charlottesville University/Downtown Area in Charlottesville, Virginia. Steve Kirby and Ed James, Managing Principals of Mumford Company represented an affiliate of Atlanta-based Peachtree Hotel Group, one of the nation’s fastest-growing hotel investment and management platforms, as the seller’s broker. 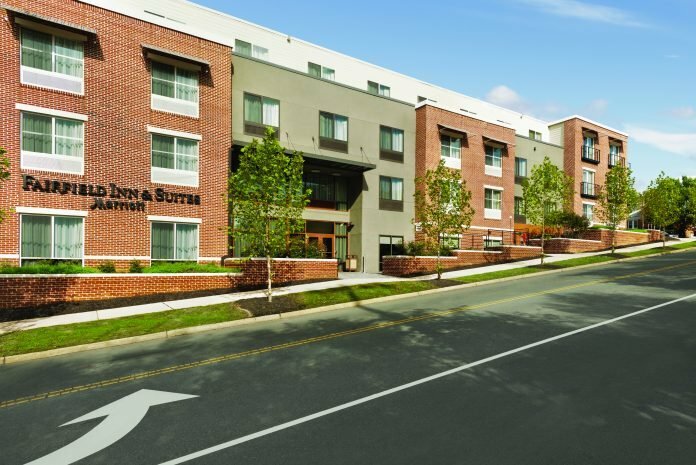 An affiliate of Charlotte-based Griffin Stafford Hospitality purchased the asset, as part of a 1031 exchange after the sale of the Home2 Suites by Hilton Durham/Chapel Hill, in Durham, North Carolina. The 117-room property conveniently is located near John Paul Jones Arena, University of Virginia, historic downtown Charlottesville, The Appalachian Trail, and UVA Medical Center and School of Medicine. Peachtree Hotel Group opened the property in July of 2018. "This was an off-market transaction that created a win-win for both parties,” said Steve Kirby, Managing Principal, Mumford Company. "This newly constructed asset opened in July of 2018 and was the perfect addition to Griffin Stafford Hospitality’s portfolio. The numerous issues surrounding the completion of the contractor punch list and the final approvals required by the City of Charlottesville could not have been overcome without consistent cooperation between buyer and seller "
The Fairfield Inn & Suites features the brands signature “smart” room with a well-designed work area, ergonomic chair, task lighting, conveniently located electrical outlets, and curve mobile desk. Additional amenities include an indoor swimming pool, exercise room, valet laundry service, and complimentary Wi-Fi, as well as fax and copy services. The hotel also offers 498 square feet of meeting space. Peachtree Hotel Group operates, develops and invests in premium-branded, select- and limited-service and extended-stay hotel assets under the Marriott, Hilton, Hyatt, Choice and InterContinental Hotels Group flags. Since its inception, Peachtree has invested in more than $2.4 billion of hotel properties and first mortgage notes. Peachtree's current portfolio is comprised of 104 hotel assets totaling 12,767 rooms, including 46 real estate assets and 58 notes. For more information, please visit www.peachtreehotelgroup.com. Griffin Stafford Hospitality is a privately-owned investment group focused on the development, acquisition and operation of upscale, select service and extended stay premium-branded hotels primarily in the Southeast. The company was established in 2003 by principals Joel Griffin and Doug Stafford. Learn more at www.griffinstafford.com.